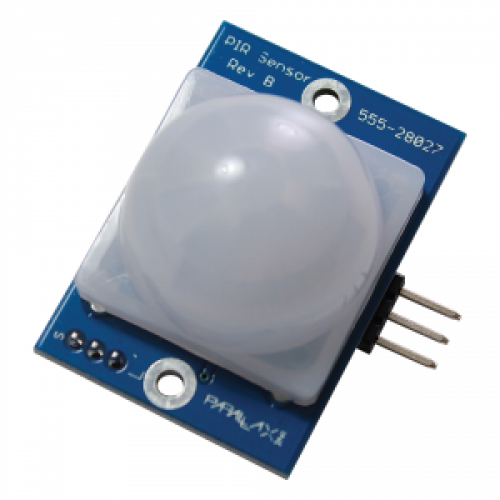 The PIR (Passive Infra-Red) Sensor is a pyroelectric device that detects motion by measuring changes in the infrared (heat) levels emitted by surrounding objects. When motion is detected the PIR Sensor outputs a high signal on its output pin. This logic signal can be read by a microcontroller or used to drive an external load. Dual output modes and a sensible design that performs within stated datasheet specifications are a few reasons over 100,000 units are in use around the world. Note: All specifications for this product are approximate and subject to change without notice.